For those inspired by the British Museum’s new exhibition on the Ming dynasty, there is even more grandeur to be seen in China. The British Museum has declared that a period of the Ming dynasty - the first half of the 15th century - was ’50 years that changed China’. There have been a number of transformative half-centuries in this country’s history (not least, the one we are in now) but this was certainly a golden age for trade, diplomacy and art - from the most fragile porcelain to monumental architecture. Many of what are now Beijing’s most famous tourist attractions were built during the Ming (literally: ‘brilliant’) dynasty including the Forbidden City, which served as the imperial palace for nearly 500 years, and today’s most visited sections of The Great Wall, like Badaling. The Ming were prolific builders of walls, and cities like Xi’an and Pingyao still remain fortified by their handiwork. Half-way between Beijing and The Great Wall is the resting place of over a dozen Ming emperors with an avenue of stone statues, colonnaded halls and imperial burial chambers. Back in the capital, the Temple of Heaven is another outstanding Ming monument. Espousing symmetry and symbolism, it is a three-tiered wooden structure that stands 125-foot high but uses not a single nail. Be aware that if you make a trip to China before the British Museum exhibition ends, there will be some empty cabinets in China’s museums. 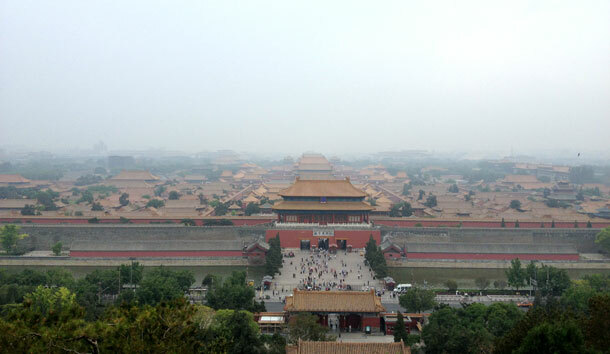 The Forbidden City’s Palace Museum has loaned some impressive calligraphy scrolls; from the Capital Museum in Beijing is a jade belt plaque and gold jewellery; there are candlesticks and paintings from the Shanghai Museum. Some of China’s excellent - and undersung - regional museums have also loaned items to the exhibition, although few tourists venture to provincial cities like Jinan or Wuhan. For those especially interested in Ming history, the second hotspot after Beijing is the former capital of Nanjing. Here is Xiao Ling mausoleum, the tomb of the founder of the Ming dynasty, and Zhonghua Gate, a remnant of the Ming city walls. The superb Nanjing Municipal Museum has a collection of Ming artifacts, too. 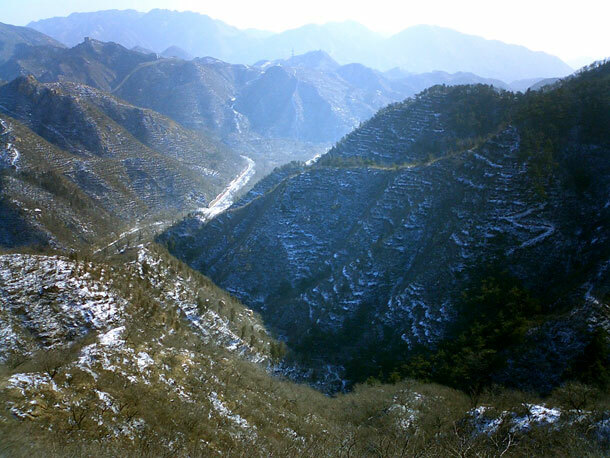 South of here is Jingdezhen, site of the kilns that produced some of the country’s finest porcelain. During the Ming dynasty there was a thriving trade exporting bowls, cups and plates with that signature blue underglaze, a style that has become almost synonymous with the word ‘china’. Jingdezhen is still responsible for much of China’s porcelain production today. Tourists can watch demonstrations at the ancient kiln sites, as well as visit the Folk Customs Museum. Interestingly, if you want to see one of the world’s greatest collections of Chinese antiquities, then your destination should not be China but Taiwan. During the height of the Civil War in the 1940s, Chiang Kai-Shek’s Nationalists retreated to the island of Taiwan carrying with them an important portion of the imperial collection, now on display at the National Palace Museum in Taipei and holding some of the world’s best examples of Ming artwork. 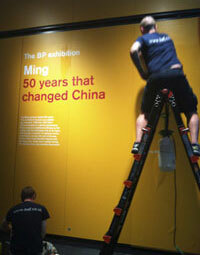 The exhibition ‘Ming, 50 years that changed China’ is showing at the British Museum (britishmuseum.org) until January 5, 2015.